Congratulations to the top 10 passers, also known as topnotchers of the September 2016 Licensure Exam for Teachers (LET or teachers board). Their names will be officially announced by the Professional Regulation Commission (PRC) either today, Monday, November 28 or Tuesday, November 29, 2016 as expected. 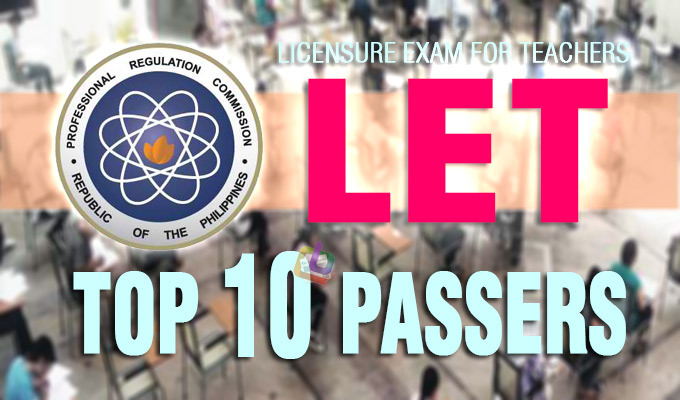 Once released, the September 2016 top 10 list will state the respective rank, name, school, and percentage rating of successful examinees who garnered the ten highest places in the said test. During the previous LET conducted by the PRC earlier this year, the topnotcher in the elementary level came from the University of Mindanao while a Lorma College grad gained the top spot in the secondary level. Who will be the 'cream of the crop' this time? Find out as we post the September 2016 LET top 10 board passers very soon! Update: The list has been released!